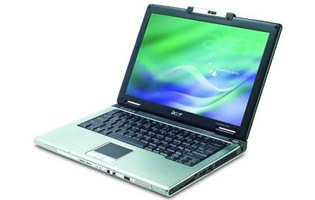 Creative IT is one of the foremost and well established Acer laptop service centres in the London, UK. We provide the most sensible solutions for all Acer laptop repair and upgrade requirements for clients across various industry sectors. At our London Acer laptop service centre, we even have an expert team of qualified technicians who can effectively troubleshoot and fix Acer Ferrari, Aspire, TravelMate and Extensa notebook models. Being a leading Acer laptop service centre, Creative IT can suggest solutions for your defective Acer laptop LCD, inverter, DC power jack, motherboard, hinges, keyboard, memory, optical drives, power adapters, cables, network card/modems and laptop hard disk drives. You can also benefit from our Acer laptop password removal, hardware and software installation, laptop touchpad replacement, laptop data recovery and laptop data migration services. To get more information on our professional Acer laptop service centre and the same day laptop repair and upgrade services we offer for Acer Ferrari, Aspire, TravelMate and Extensa notebook models, give us a call at 020 7237 6805 or send us an e-mail to info@creativeit.tv. We are open for business Monday to Saturday, from 09.00 am to 06.00 pm.